Simply stated, it is breathing through the mouth instead of the nose. This may seem innocent, but there are detrimental life quality effects for those who breathe through their mouth. On average we breathe about 20,000 times a day. That is 20,000 chances for the human body to not function at its top capacity. Most mouth breathers breathe 2-3 times more air than they should. Why is this bad? If you are breathing 2-3 times as much air as you should, you are breathing out 3 times the air that you should and your carbon dioxide levels will be DEFICIENT! You are losing your body’s natural buffering system. As a result the mast cells in your body will release histamines (inflammation), and your internal systems get out of whack!! Chronic mouth breathing is a huge concern as it can affect the quality of your life AND your life. There are several reasons why we are scientifically supposed to breathe through our nose and not our mouth. Breathing through the nose is vital in maintaining your overall health. Our sinuses produce a gas called nitric oxide (NO). This gas plays an important role in many of our body functions. It acts as a relaxant causing blood vessels to dilate, it improves the absorption and release of gases in the lungs, and It works as an antibacterial to help neutralize germs and bacteria. 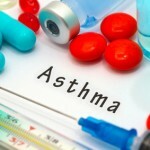 Asthma – diagnosis written on a white piece of paper. Syringe and vaccine with drugs. 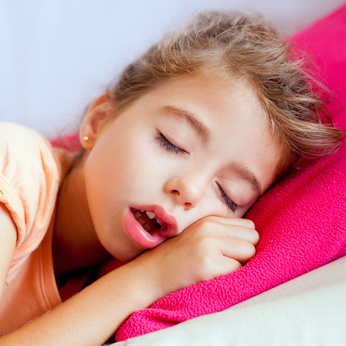 What are the effects of mouth breathing? When anyone habitually breathes through their mouth, a series of facial changes take place. When the mouth is open, it drops the chin down and back. It acts like a weight hanging on the face and you have a complete downward pull of facial muscles and jaw joints. Many mouth breathers also present with a low tongue level. This means that the tongue is resting on the floor of the mouth instead of UP in the roof of the mouth. It is CRUCIAL for the tongue to remain UP in the palate at all times as it provides support for the upper jaw. Without the tongue UP in its proper resting place, there is an inward push of forces making the mouth narrow and the palate higher which restricts the airways. Remember that the roof of the mouth is the floor of the nose. In addition, there are noticeable changes to the eyes and contours of the face. The nose becomes under utilized and underdeveloped, the upper lip atrophy’s and shortens, and the lower lip gets over worked, becoming fat and flaccid. 60% of facial growth takes place during the first four years of life, and 90% takes place by the age of 12. Development of the lower jaw continues until around age 18. If you have difficulty closing your lips or keeping them closed, you may have a short upper lip. This is often brought on by a lip tie, thumb sucking, habitual mouth breathing, and or extended use of a pacifier, bottle or sippy cup. If these are swollen the tongue has no room and therefore must create space by opening the mouth. 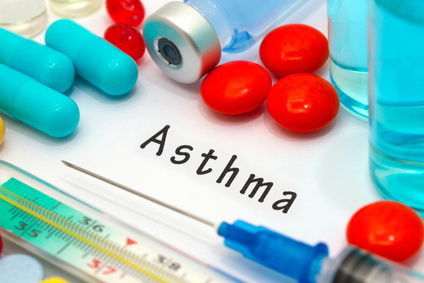 Eliminating contributing factors such as adenoids, nasal polyps, and allergies are key. Orthodontics may need to be addressed as well. Once these issues are addressed mouth Breathing can be reversed through a series of targeted exercises involving the tongue, and lips. Stretching and retraining the upper lip is crucial in mastering nasal breathing, as well as retraining the tongue to rest in the roof of the mouth. Think about it…what keeps the tongue on the roof of the mouth? SUCTION or negative air pressure. This can only be accomplished if the lips are closed. As soon as the lips part, you lose suction. For anyone with a short upper lip, this is challenging and Myofunctional Therapy can help reverse this. In addition to Myofucntional Therapy, breath retraining through the Buteyko breathing method is also highly recommended. I have trained with Patrick McKeown, author of Close Your Mouth. Mouth breathing may seem an easy task to overcome, but I assure you it is not. Mouth breathers have learned to compensate by using their facial muscles incorrectly over time. They are dealing with muscles and habits that have been conditioned and ingrained in their everyday mechanics for years and it will take time to recondition these habits.